Welcome to the website of the Kansas Soybean Commission and the Kansas Soybean Association – two distinct organizations that work together for Kansas soybean farmers. They aim to expand existing markets; develop new uses; facilitate agronomic research; and communicate goals and successes to farmers, industry partners and consumers. The Kansas Soybean Commission works to improve the profit potential for all soybean farmers in Kansas and across the United States. It is a board of nine volunteer farmers, elected by their peers, who are responsible for managing Kansas’ share of the funds collected under the national soybean-checkoff program. The checkoff helps ensure a strong and productive future for soybean farmers. Through it, each farmer contributes 0.5 percent (for example, $5 of $1,000) of the selling price of soybeans, which grain elevators and processors collect at the first point of sale. The Kansas Soybean Association is the voice and advocate for soybean farmers on local, state, national and international issues of importance. Founded in 1973, its advocacy efforts are made possible by farmers’ voluntary memberships and industry partners’ sponsorships. 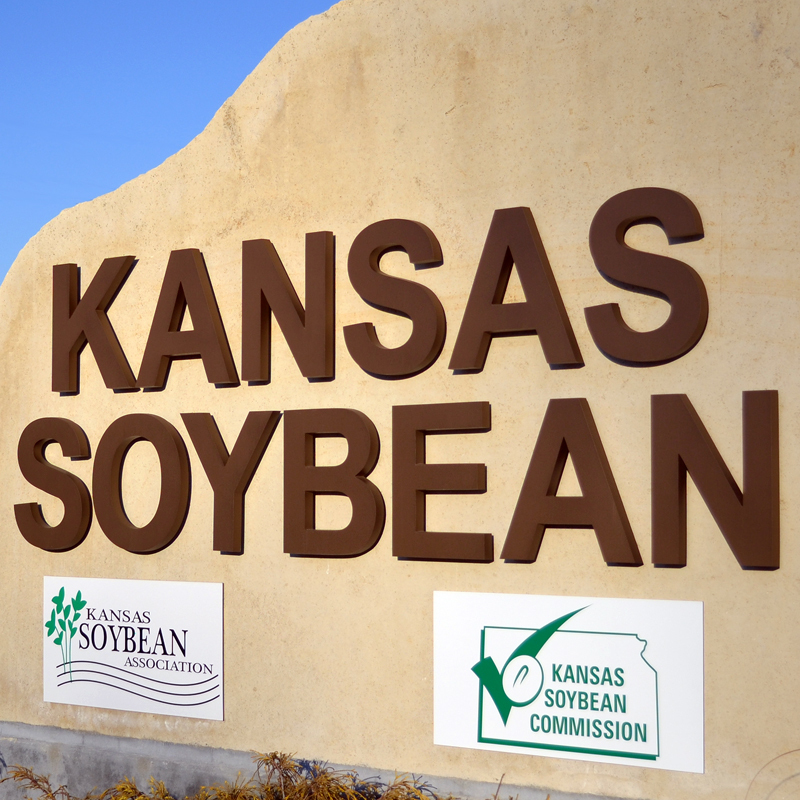 KSA is the primary contractor to the Kansas Soybean Commission, but paying the checkoff does not automatically make a farmer an association member. By law, the soybean checkoff cannot do the important farm- and trade-policy work that directly affects farmers’ bottom lines, but KSA can with dues and sponsorship dollars.